Is there a canonical currency symbol for the Battletech C-Bill? I'm building a web-page for my local Battletech group that includes tools to track our stable finances (we have a heavily homebrewed campaign set on the Solaris 7 Game world that we've been playing). At the moment, it doesn't display a currency symbol but I'd like to add in a (preferably canonically correct) currency symbol if I can. Is the correct symbol defined in any of the sourcebooks? Yes, as can be seen from these screenshots from Mechwarrior online, the currency symbol for C-bills is the letter 'C' with a median bar extending to the left. I've done my best to mock up a version in photoshop using the font Franklin Gothic Heavy. Interestingly, the new BattleTech game, also set within the MechWarrior universe has a different symbol, a half-hexagon with a circle centre-left. The two symbols are, however, similar that one could conceivably be an updated version of the other. I don't believe there is a canonical one. There is the one from Mechwarrior Online, as mentioned in the other answer, but Mechwarrior Online is not BattleTech canon. 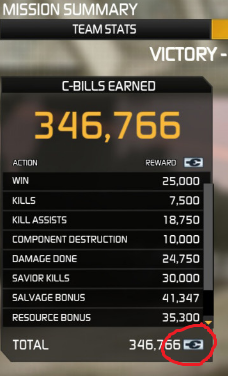 Still, the MWO is probably as good as you're going to get. 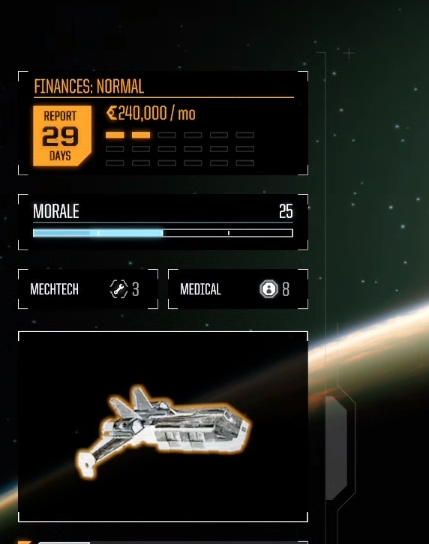 Also, the new "BATTLETECH" computer game uses a different currency symbol from MWO. It's also an official product, but the video games are explicitly not canon, but they said the storyline IS canon. Depending on how pedantic you want to be that could be just the story, or the symbology as well (but I think probably not). So: use whatever you like. Not the answer you're looking for? Browse other questions tagged money battletech or ask your own question. In Niven's Known Space, what currency are the Outsiders interested in? In the movie “In Time”, has the currency always been “Time”? What is the reason for such a strange exchange rate in the wizard currency in Harry Potter? Suggested reading order for the Battletech Mechwarrior novels? What was the first science fiction work to use “credits” as currency? Can a member of the not named clan ask for a trial of refusal to save his clan? Can somebody share the whole conversation between Bill Weasley and HP about Goblins? Why do they still use gold dragons as the currency in Westeros? What currency does the galaxy deal in besides credits? Can currency in the Wizarding World be melted down?